Taken from the elusive Dolce and Gabbana Anthology fragrance collection, 3 L'Imperatrice Eau de Toilettte is an iconic scent inspired by tarot cards and their marks. 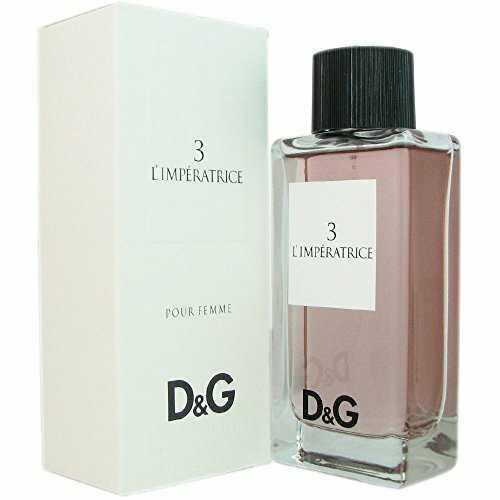 Fronted by a Mario Testino advertising campaign, Dolce and Gabbana 3 L Imperatrice is a sophisticated and stylish scent which features notes of Watermelon, Kiwi, Pink Cyclamen and Musk. Color: Eau De Toilette Spray - 3.3 fl. oz. If you have any questions about this product by D&g 3 L'imperatrice Ladies, contact us by completing and submitting the form below. If you are looking for a specif part number, please include it with your message.